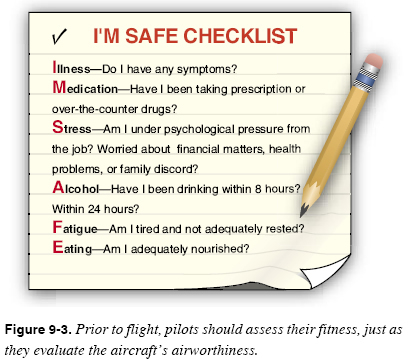 The next element is the severity or consequence of a pilot’s action(s). It can relate to injury and/or damage. If the individual in the example above is not an instrument flight rules (IFR) pilot, what are the consequences of encountering inadvertent IMC? In this case, because the pilot is not IFR rated, the consequences are catastrophic. The following are guidelines for this assignment. 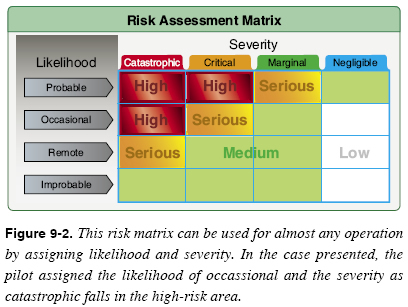 Simply connecting the two factors as shown in Figure 9-2 indicates the risk is high and the pilot must either not fly or fly only after finding ways to mitigate, eliminate, or control the risk. Take a pilot who is rated as an IFR pilot.